1. No cross infection. Disposable needles. 2. Speed - faster than manual MTS. Less pain. 3. Shorter treatment times. Adjustable needle depth. 4. Easy to use. No side effects. Lightweight hand-piece. Easy to carry. 5. 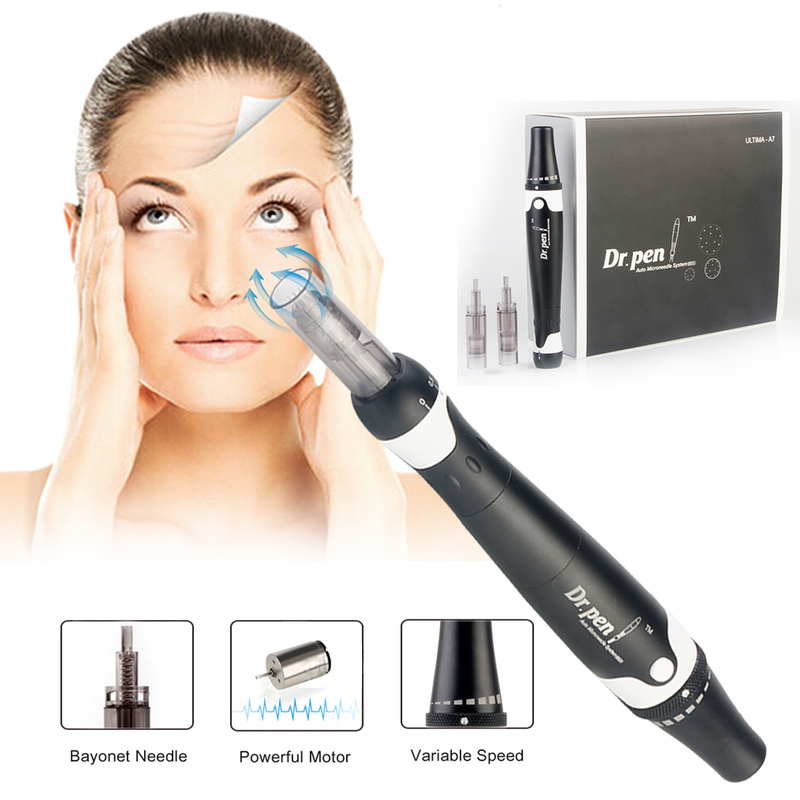 Auto Micro Needle Pen uses multiple needles that vertically pierce the skin. of treatment by increasing absorption of products, while reducing pain and discomfort. 1. For every Auto Micro Needle Pen needles,it is more better to be used for 10-30 times . 2. Do not share Auto Micro Needle Pen Needles with other person. 3. Do not use too much more than indicated times.If treated skin shows hypersensitive response, do consult with your doctor. 4. Keep micro needle pen needles part always clean. 5. Please place Auto Micro Needle Pen needles be out of children’s reach. 6. Should choose auto micro needle pen needle length which will be suitable according to its purpose of treatment before operation. 7. Recommend using the Auto Micro Needle Pen once or twice a week on the same skin area or you can do another treatment just after your skin recovering from the last time treatment,or you can ask your cosmetologist for advice depending on special individuals. 1. Scar Removal-including acne scar removal / treatment. 2. Stretch Mark Removal / Treatment. 4. Cellulite Treatment / Cellulite Reduction or Removal. 5. Hair Loss Treatment / Hair Restoration. 1. Soak about 5-8 minutes with 75% alcohol,Or use ultraviolet to disinfect for about 45 minutes. Do not use autoclaves,steam and high temperature sterilization methods. 2. Apply suitable nutritional lotion/cream on area of skin. 3. Apply nutrition or mask products on the skin that requires care in case of skin inflammation. United States : 9-12 business days. Other Country: 15-20 business days.